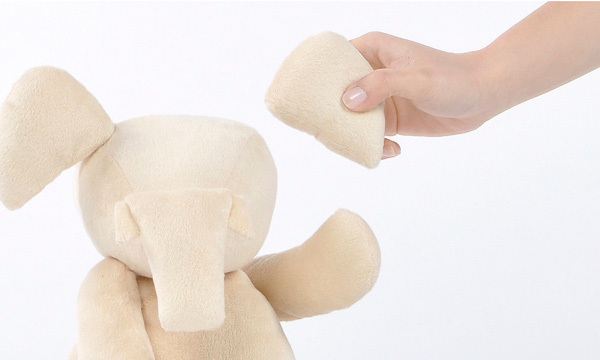 Are you and your little people bored by all the standard soft toys on the market? Move over teddy bears, there’s a new plush toy in town! Hot on the heels of their last Kickstarter project, the Dream Car, the team at Huzi Design are on a mission to fund something a bit more soft and snuggly. These appealing little fellows are the Mixed Animals from Huzi and they look exactly how you want them to. Fancy an elephant with wings? How about a teddy bear with horns or a shell? You can do it all with these little guys, because each body and accessory piece is magnetic. They’re made from beautiful soft plush fabric too, in white or black, so when you’re not busy rearranging their bits, they’re pretty nice to snuggle on the lounge with. At the time of writing, Huzi are about halfway to their Kickstarter goal of reaching $10,000 to begin production, and there’s still plenty of time left. Sound like something you’d like to support? The basic Animal Set can be yours for a pledge of US$39 and higher pledges will get you accessory kits as well.